Let’s Talk ASN is a new service for the parents of children with additional support needs who may require support in relation to a dispute with an education authority. The service offers specialist independent advocacy for parents who are considering making a reference to the Additional Support Needs Tribunal Scotland, and every case is supervised by an experienced Education Law Solicitor. Let’s Talk ASN is a joint initiative of Govan Law Centre and Kindred. The report is the outcome of an independent review of education for children and young people who have dyslexia, carried out on behalf of the Scottish Government. The report identifies that although there have been improvements in practice since the last review in 2008, there is still inconsistency and variability in practice across Scotland’s 32 local authorities. The report also highlights that young people with dyslexia attain significantly less well than their peers who do not have additional support needs. The free online Addressing Dyslexia Toolkit is a useful resource for parents, families, schools and local authorities. HUBS stands for Help Us Be Spontaneous. All young people want to enjoy more freedom in their teenage years as they move to an independent life. When they get a text from their friend on a Saturday morning asking them to meet later that afternoon, they want to be able to get there. They want to be spontaneous.Young people who have learning disablities and mobility assistance needs can’t. They have to let the train company know about their plans up to 24 hours in advance. HUBS is campaigning for a number of changes. 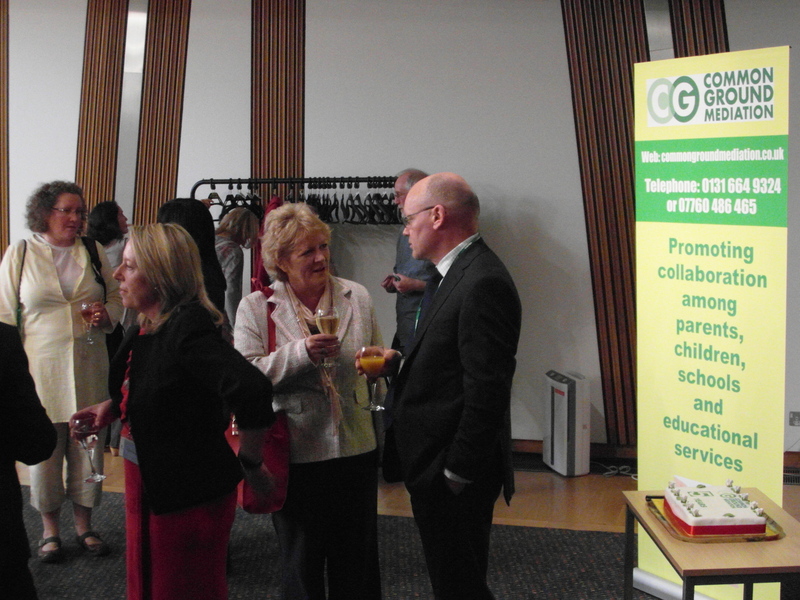 Enable is a membership organisation in Scotland for people with learning disabilities and family carers. Children in Scotland in partnership with for Scotland’s Disabled Children is carrying out a survey of parents and carers, aimed at finding out more about the needs of families with a disabled child. The survey will enable fSDC and Children in Scotland to represent issues important to families to the policy and decision makers, and they will be using the data gathered to assist the Scottish Government in finding ways to involve parents more meaningfully, both at a national and local level. Please share the survey with parents and any relevant contacts. The survey can also be provided in hard copy with a prepaid return envelope on request. For more information, or to request a printed copy, please contact Fee Ferguson at fferguson@childreninscotland.org.uk or on 0131 222 2444. 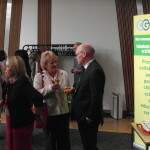 On Tuesday 4th September 2012 an event took place in the Scottish Parliament to celebrate Common Ground Mediation’s 5th birthday. Sarah Boyack MSP kindly hosted the event, and speakers included Alison Raeburn, Principal Officer (ASN) from West Lothian Council’s Education Services, and Lesley Fairley, mediator. The “Top Ten” achievements of Common Ground Mediation over the last 5 years were outlined, including not only mediation work but also delivery of training about conflict resolution to local authority staff, delivery of peer mediation training in a number of primary schools, and consultation with children and young people about proposed changes to their education provision. Additional Support Needs Mediation focuses on trying to rebuild effective relationships and partnerships between parents and school staff, so that they can work together to support the child’s learning. Common Ground Mediation is pleased to have made a contribution towards restoring trust and rebuilding positive relationships.